"Ice, Rubik, sugar, cheese… I love all things that come in cubes. We now have a shirt weave that resembles cubes. It’s a subtle pattern made from 100% Egyptian cotton with outstanding sheen and texture, perfect to enliven your formal attire. It’s also fun to look at." 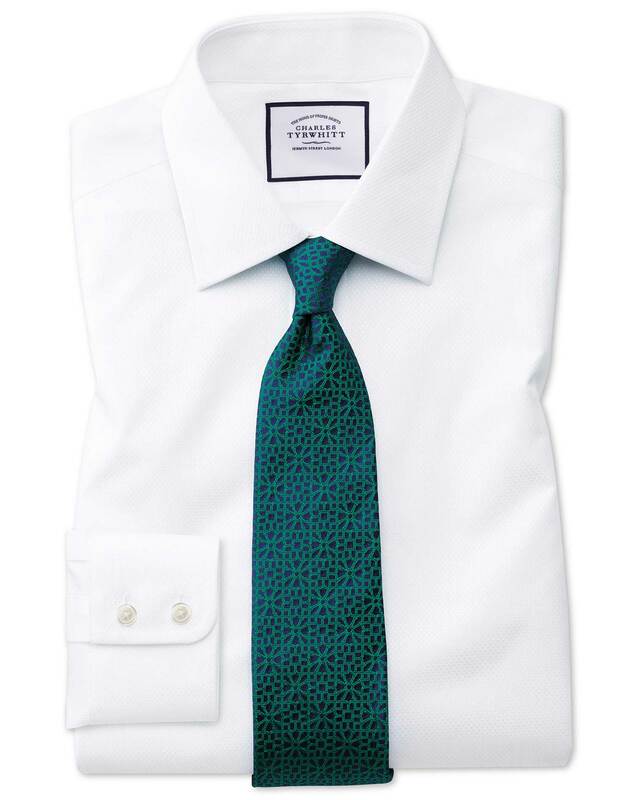 "A new range of shirts made from long-lasting 100% Egyptian cotton woven to a textural cube-like pattern." Don't like the look of the weave, much shinier than the brochure, all right under a sweater.